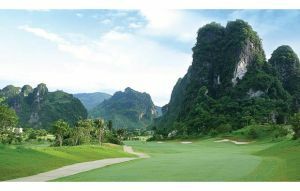 Van Tri is a stunning course and one of the best in Vietnam and the designer has managed to combine all of the elements that traditionally make up a modern golf course to produce a result which is very inviting and pleasing to the eye as well. The undulating fairways are edged with pine trees and if you get in amongst them you have no choice but to go out sideways and the plentiful and well-placed bunkers will punish any misjudged approach. 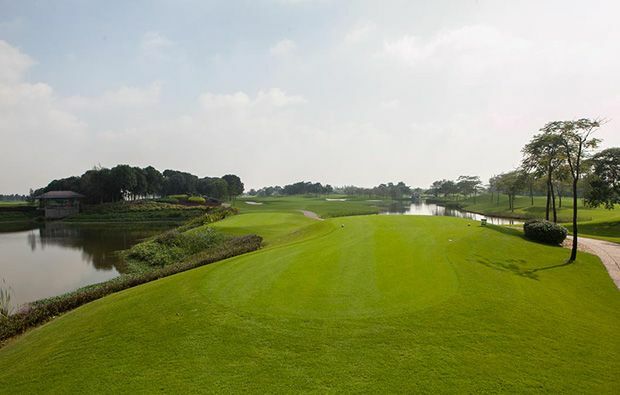 Although a number of the holes demand a carry over water, a lot of the time the course can be attacked by those brave enough to take the risk as the landing areas are fairly generous and if you get away with it birdie should follow. 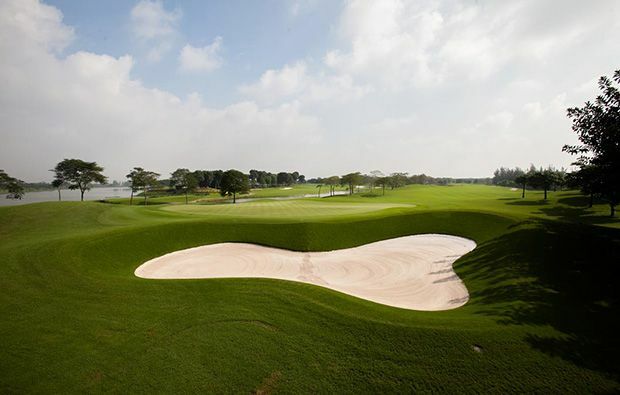 The higher handicappers have a safer route around the hazard and if they avoid trouble should score well. The courses is well maintained and even during the rainy weather they manage to deliver greens which are fast and true. 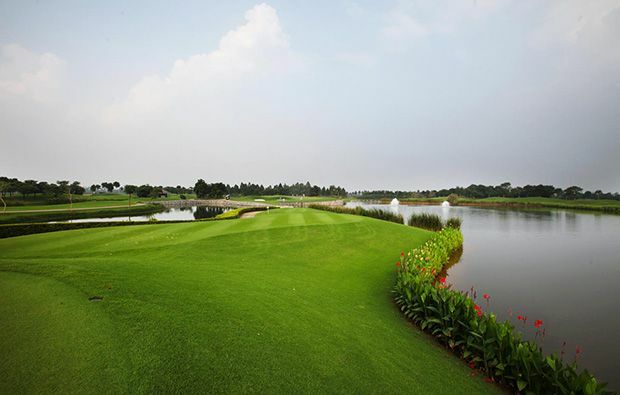 Some outstanding holes include the par 3, 4th where, in full view of the clubhouse, you are required to carry over water to a virtual island green – plenty of pressure here. The 5th has a line of bunkers along the right stretching from tee to green and go too far left and you will be in the water! A nervy carry over water to the 8th fairway and then the water bites into the fairway again in front of the green. 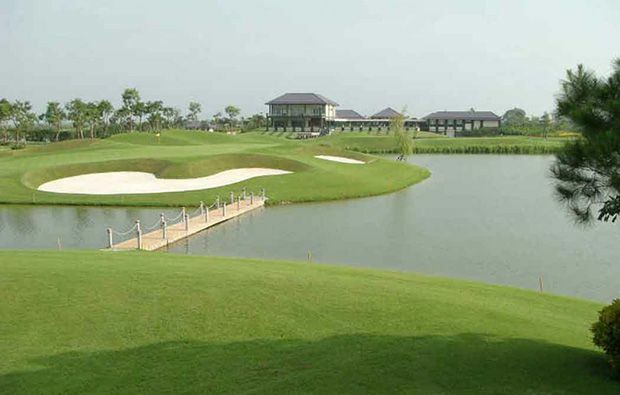 The 11th is a dog-leg par 5 has water everywhere and you need to judge your tee shot to perfection to avoid it and then the rest of the hotel is relatively easy. The 14th has a large lake in front of the green which is reachable off the tee for long hitters and then you are faced with tow bunker din front of the green. The 16th is a great par 3 with a long carry over water to a green fronted by a large bunker. 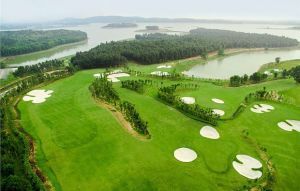 Great finishing hole yet more water all the way from tee to green and a line of bunkers protecting the other side. 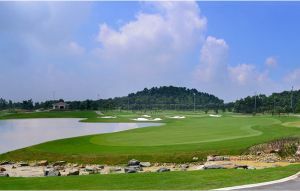 The clubhouse features excellent lockers rooms, a fully-stocked pro shop and restaurant serving both Vietnamese and international cuisine. Private rooms are on hire for larger groups and special events. 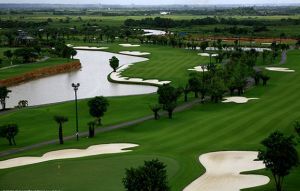 We can easily secure a tee time for you at this great Hanoi Golf course and we have excellent prices as well. Van Tri Golf Club has different Services to offer. Choose a date and number or players to see the rates.